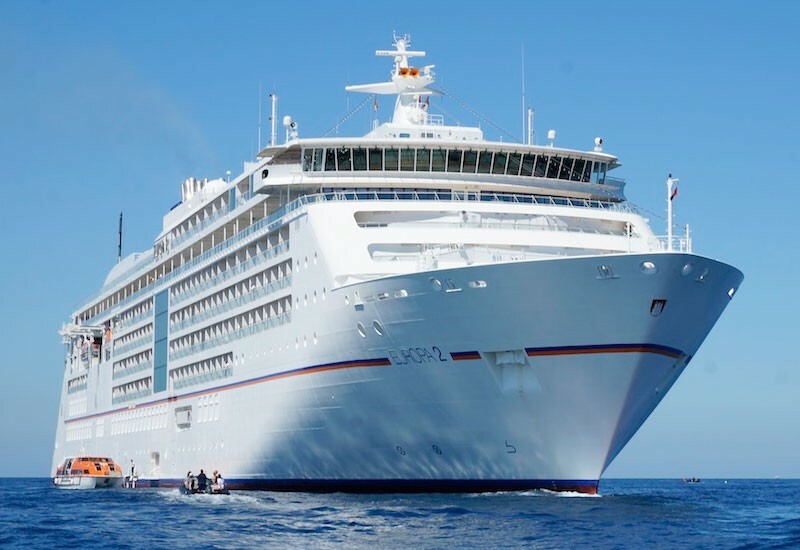 The EUROPA 2 will be waiting in the island’s port to welcome you. Electrifying nightlife, typical Ibizan lifestyle, glamorous clubs, chill-out bars and an old town that is listed as a UNESCO World Heritage Site – the legendary party island will welcome you with a unique mix of culture and impressive nature. How about a visit to the restaurants and boutiques of Ibiza town or perhaps a stylish beach day at one of the famous beach clubs*? Choose for yourself what you would like to do. The smallest of the Balearic Islands and its charming harbour is much quieter than its neighbour Ibiza. Explore the island by car, scooter, bicycle or with a tour*. Or take a catamaran trip* and relax on the deck or swim in the sea. Kick off an inspiring day with an exclusive walking tour at the grand Palau Guell*, designed by the famous architect Gaudi. A culinary walking tour* will take you to the city’s gourmet hotspots. For football fans, a visit to the home of FC Barcelona at Camp Nou* stadium is a must. Alternatively, a city tour* will show you around the cultural metropolis. An old fort and the sandy beaches with a Caribbean feel are the perfect place to while away the time. The quiet island attracts many stars and is an ideal place to explore by yourself on foot or by bicycle. The car-free town on the Cote-d’Azur with its enchanting harbour is the starting point for a trip to Marseille*, the oldest city in France with its lively centre and the unmistakable landmark of the Notre-Dame de la Garde basilica. Take a cookery course* to learn the tricks of the excellent cuisine from the top chefs of Provence.